Manufacturer of a wide range of products which include high tension insulator. 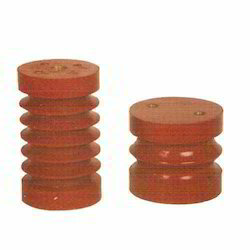 Our company is one of the predominant manufacturers and exporters of a wide assortment of High Tension Insulator. These insulators are fabricated by using highest grade of DMC having very high Mechanical & Electrical Strength. In order to attain optimum client satisfaction, these products are offered in different specifications. Thus, we are able to fulfill all the demands of our clients.